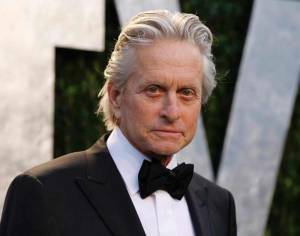 Actor and producer Michael Douglas has donated his time to help create a television public service announcement (PSA) on behalf of the Oral Cancer Foundation (OCF), a non-profit organization dedicated to helping those affected by the disease. The PSA will support the Foundation’s efforts to educate the public about the need for annual screenings to catch oral cancers in their early, most survivable stages. The public service announcement will begin airing in June, and will continue to air nationwide through summer and autumn. Approximately 48,250 people in the US will be newly diagnosed with oral cancer in 2016. This includes those cancers that occur in the mouth itself, in the very back of the mouth known as the oropharynx, and on the exterior lip of the mouth. There are two distinct pathways by which most people come to oral cancer. One is through the use of tobacco and alcohol, and the other is through exposure to the HPV-16 virus (human papilloma virus version 16), a newly identified etiology, and the same virus which is responsible for the vast majority of cervical cancers in women. While oral cancer has historically been linked to tobacco and alcohol use, this is not simply a smoker’s disease any longer. New data shows that the fastest-growing segment of newly diagnosed cases are now young, non-smokers. Most startling, is the fact that while many other cancers have been in decline in recent years, the occurrence of oral / oropharyngeal cancers has increased each of the last six years, and peer reviewed published data shows that the numbers of HPV-related oral cancers will surpass cervical cancers in the near future. Caught early, oral cancer can be treatable, but many people do not know they have it until it has already turned into a killer. In the U.S., a person dies from oral cancer every hour of every day. The death toll is particularly high due to lack of public awareness, combined with infrequent screenings for the condition by medical and dental professionals. When found in the early stages of development, oral cancers have an 80 to 90 % survival rate. Unfortunately at this time, two-thirds are found as late-stage, advanced cancers, and this partially accounts for the high death rate of approximately 45% at five years from diagnosis. Death rates from cancers such as that of the cervix, skin, and prostate, have decreased as annual checks for those diseases have been adopted–this could potentially also be the case with oral cancer, if the simple and painless screening procedure were to be made a routine part of dental or physical examinations.